On May 4th, Delphi released the GLOBE Canada Cleantech Innovation Workshop Report. 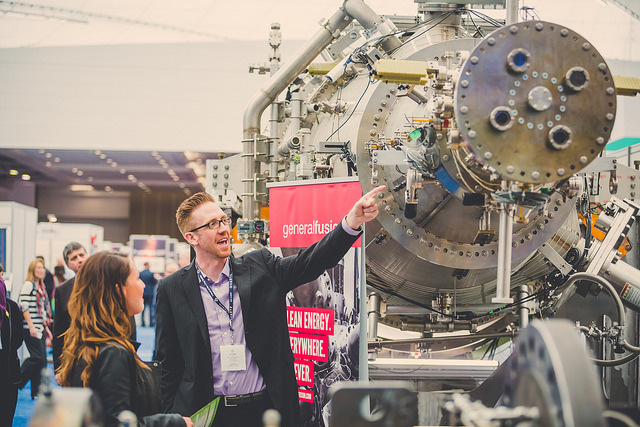 The report is the outcome of a workshop involving top cleantech funders, government, accelerators and incubators, industry and innovators representatives that happened at GLOBE 2016 in Vancouver in March. We played the role of facilitator and were privy to an energized discussion about how we can accelerate the deployment of Canadian cleantech. Recent government budgets have emphasized the role clean technology and innovation will play in achieving environmental and economic goals. For example, the federal budget brought down in March earmarked significant funds to support the cleantech sector, as highlighted in a previous Delphi blog. $3.4 billion for large-scale renewable energy projects, transformative innovation and technology development, bioenergy initiatives, and plan implementation. $2.2 billion in green infrastructure, such as public transit. Outside of government, cleantech stakeholders are forming new partnerships to advance the interests of the sector. For example, the BC Cleantech CEO Alliance, Ecotech Québec, MaRS Discovery District and the Alberta Clean Technology Industry Alliance (ACTia) have signed a Memorandum of Understanding to coordinate efforts that promote clean technologies, combat climate change and contribute to a strong, diverse, sustainable economy. As part of this new collaborative effort, the partners brought together CEOs from nearly 200 cleantech companies and investors across Canada to sign a letter to Prime Minister Justin Trudeau with recommendations on how the Canadian government can accelerate economic growth, job creation and environmental benefits. Enhance the flow through tax credit application to include clean tech projects and companies. In addition to the specific recommendations, one of the most compelling findings was the shared view that time is of the essence. While there is the sense that coordination of public and private sector interests is both timely and relevant, the need for more consultation was clearly considered less critical than the need to create momentum. Leveraging what we know – and using early wins to build traction – will allow the cleantech sector to compete globally as quickly as possible, and in turn increase our capacity to solve pressing domestic issues at the heart of Canada’s industrial competitiveness. The workshop was the start of a renewed national conversation on an important issue that is a fast moving file for governments. We will continue to engage key stakeholders and track developments in the sector – stay tuned for future blogs on this topic!